Here at Lèbo we offer a wide variety of services. We've divided up those services into six different categories based on certain areas of the body. Click the area you're interested in learning more about to see all of the services we have to offer. Here at Lèbo we offer a wide variety of services. We've divided up those services into five different categories based on certain areas of the body. Click the area you're interested in learning more about to see all of the services we have to offer. Get gorgeous lips with our colorful range of luxurious lipsticks. The lanolin-free formula contains a special blend of natural oils and vitamins. Stays fresh-looking for hours. 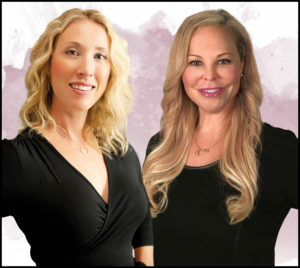 In 1999, Hillary Lébouitz-Schaefer & Heather Witmer recognized the demand for a skin care facility that combined medical skin care with non-invasive procedures. Together, they created the answer with Lébo Skin Care Center. Today, with two locations in Pennsylvania (York and Hanover), Lébo Skin Care patients have the reassurance that they are receiving treatment from medically certified personnel through top-of-the-line equipment and products. Whether you know what service you’re looking for, or if you aren’t sure what you need, you can schedule a time with one of our skin care experts to explore your possibilities. For all the latest skin care tips and specials. © 2019 Lébo Skin Care Center All Rights Reserved.